At the 11th Auto Expo occurred in Delhi at Pragati Maiden Auto maker announced its investment of around Rs 800 crore to develop two products with its Korean subsidiary SsangYong Motor over the next 3-4 years. The company on Thursday released four models from SsangYong's portfolio at the 11th Auto Expo in Delhi. 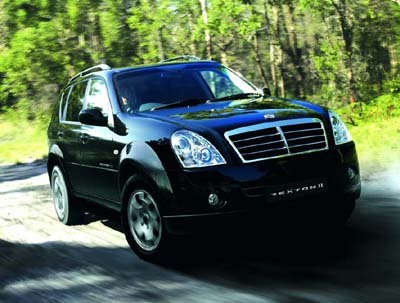 The sports utlity vehicle Rexton will soon be on Indian roads within the period of next six month. Mahindra also declares its intention to enter into the heavy bus segment. Leading Japanese auto company Nissan Motor launched seven-seater car 'Evalia' at the Auto Expo and reveled its intention to triple their dealership network in the country in coming next three years. Nissan has made Evalia in partnership with Ashok Leyland and will manufacture the car at its plant near Chennai. Evalia is the company’s third model in row after Micra and Sunny. Discussion about the company's expansion plan at the 11th Auto Expo, Nissan Motor Company Corporate vice president Gilles Normand said, "Currently, there are 50 dealer outlets in India but that figure will more than double by the end of the next year. The target is to reach 150 outlets by 2015." The company also exhibited a zero-emission electric car LEAF, Nissan GTR and third one is Compact Sports Concet (CSC). The company has planned to sale out around 40,000 vehicles in India including models Micra, Sunny, TEANA, X-Trail, 370Z sports car.